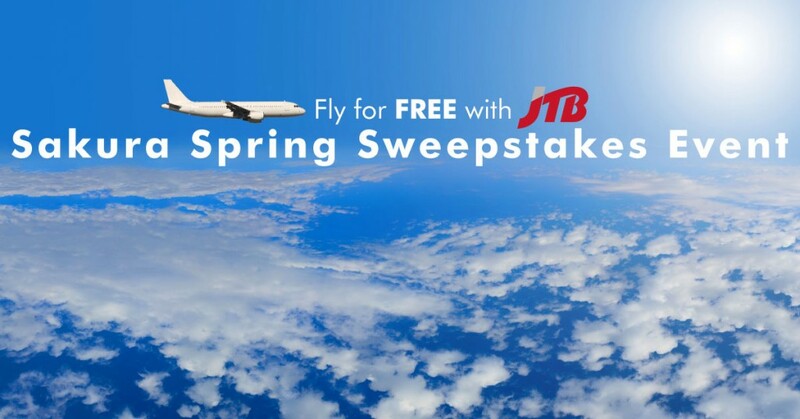 FLY FOR FREE WITH JTB! 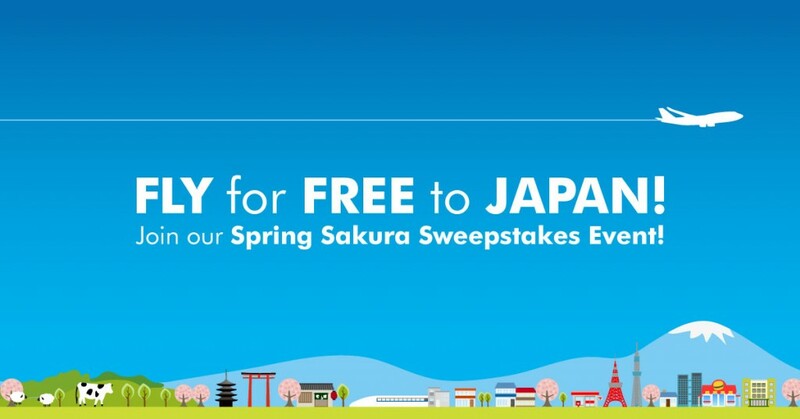 Join our Spring Sakura Sweepstakes Event! Spring season is peak season in Japan and JTBUSA is breaking the ice with the Spring Sakura Sweepstakes Event! 1: Like and follow both this post and JTBUSA on Facebook. 2: Tell us what your favorite crazy fun thing about Japan is in the comments! 3: Read our blog and tell us what you think in the comments section on Facebook! There more you do, the greater your chances of winning are! Don’t forget to tag your travel partners and share! This event ends on 04/01/2016, so don’t be late to the party! Join us and win your dream vacation! Eligibility: This sweepstakes is open only to legal U.S. residents, over the age of 18. Employees of JTBUSA INC. (along with its contractors, affiliates and subsidiaries) and their families are not eligible. Void where prohibited by law. Sweepstakes participants residing in those areas where the sweepstakes is void may participate in the sweepstakes but may not win any prizes. Winner Selection: Employees of JTBUSA will judge the sweepstakes. All decisions of the judges are final. Prizes: Prizes are subject to availability of Airline seating and tours, and must be through a major airline and flight, selected by JTBUSA INC. All prizes are non-transferrable and must be claimed by 12/31/2016. Conduct: All sweepstakes participants agree to be bound by these Official Rules. JTBUSA in its sole discretion, reserves the right to disqualify any person it finds to be tampering with the entry process, the operation of its web site or is otherwise in violation of these rules. Any use or expression of vulgarity, political affiliation, or religion in words, images, or otherwise will result in disqualification. Limitations of Liability: JTBUSA is not responsible for late, lost or misdirected email or for any computer, online, telephone, or technical malfunctions that may occur. If for any reason, the sweepstakes is not capable of running as planned, including infection by computer virus, bugs, tampering, unauthorized intervention or technical failures of any sort, JTBUSA may cancel, terminate, modify or suspend the sweepstakes. Entrants further agree to release JTBUSA from any liability resulting from, or related to participation in the sweepstakes. Facebook Liability Waiver: JTBUSA and any of its activity is in no way sponsored, endorsed or administered by, or associated with, Facebook. By entering this sweepstakes, you are participating with a privately administered and operated project by JTBUSA.